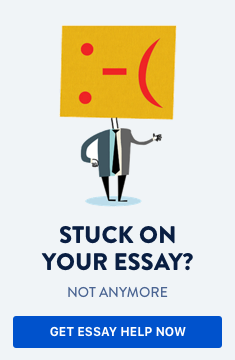 Not everyone has the appropriate abilities to write a good essay. Unfortunately, today people are used to writing short messages on their smartphones, or following various futile discussions on the forums. This exerts very negative influence on both the grammar and style of writing, for there are almost no rules of writing on the internet, so “everything goes.” Furthermore, people do not only know how to write, but also what to say, so they prefer just “sharing” the opinions of others, instead of presenting their own view. For that reason, less and less people today are able to write a good controversial paper, as this requires several abilities and competences which people do not develop such as critical thinking, ability to present information, and ability to analyze it. Writing a controversial paper includes presenting an important issue and a debate on it in its short form (because the whole debate cannot be presented in a short school or college essay). You need to define your topic very well, then to present the current debate on it, and to manifest your personal standpoint. In contrast with most forum discussions, your controversial paper should be written logically, adhering to the main principles in logic and argumentation, and also deal with reliable data. Here we shall give you some hints on how to write a controversial paper. Find a social, economical, political, medical, ethical, or religious issue, etc. Pick a topic which is popular and up-to-date; something discussed on TV, on the internet forums that you consider to be a vital issue. The easiest way is to check on the Wikipedia or on some forums, but keep in mind that the information there may be (and usually is) distorted and lacking neutrality. The difficult way is through reading academic articles such as research, reports, statistics, analyses, etc. Let’s say the topic is euthanasia. You need first to find a definition of what euthanasia is; then to find information about where it is legal, and some examples of where it is not legal; then to find case studies telling about doctors who have performed euthanasia, or personal stories of relatives/friends of people that were euthanized. Two arguments for each point will be sufficient. Get yourself familiar with theorists or researchers that defend these standpoints in order to increase the academic level of your paper. Be concise, clear and logical here. You can write, for instance, that “the problem with euthanasia has mainly ethical dimensions and for that reason it cannot be settled completely. This is such an issue which shows that law should address the moral needs and values of the citizens. Whether euthanasia should be legalized depends on the agreement of the community, without which the law would lose its power and legitimacy.” This formulation, of course, is a general one, but you may adapt it to your particular topic and scope of analysis. Respect your potential opponents and their views, especially when it concerns ethical issues. Avoid personal accusations, and do not employ emotional arguments (like “euthanasia is of demonic nature”, or “the people arguing against euthanasia are fanatics”). If there are some contradictions between the data presented by one author and the information presented by his/her opponent, extend your research in order to find the most reliable data. Attach a list of bibliography according to a given academic standard. Your solution to the issue is only a provisional one. Keep this in mind and be open to a dialogue with your opponents. A controversial paper should solve problems and not ensue in new misunderstandings and conflicts. A controversial paper should solve problems and not ensue in new misunderstandings and conflicts.